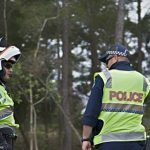 In November 2015, Queensland Police hosted a large-scale media launch for the first stage of a $6 million state-wide rollout of body cameras. At the time, the initiative was hailed as a “VERY. BIG. DEAL”, with hopes the devices would keep both police and members of the public accountable, reducing violence and disputes about public encounters. 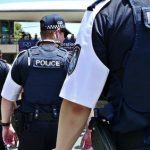 Hundreds of cameras were initially handed out to frontline officers on the Gold Coast, intended as a crucial new part of the policing toolkit. 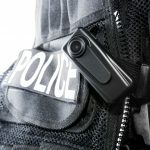 On the Government News website, promises were made that the cameras, otherwise known as ‘Body Worn Video’ (BWV) systems, would make policing more efficient, reduce paperwork for officers, and would also provide “greater reassurance” to members of the public in their day-to-day dealings with officers. At the time, Police Commissioner Ian Stewart said, “BWV greatly assists our officers in gathering evidence and dealing with complaints”. But just 20 months later, police officers admit the cameras are often not being worn – that they are being left in cupboards at the station while police undertake their duties on the beat. the footage is rarely uploaded to cloud-based data storage facilities. Of the 2700 cameras now rolled out in the first stage of implementation across Queensland, about 40 per cent haven’t been turned on or used at all. According to police, many are “too scared” to wear the cameras in case they “breach policy or do or say the wrong thing”. And as it is ultimately up to police whether (and when) they turn their cameras on, and also whether they upload footage to the cloud, it is abundantly clear they are certainly not keeping rogue officers accountable. Stage two of the rollout has just begun and an additional 2,400 cameras will be issued to officers between now and December, despite the fact that the devices have not met their stated objectives of keeping the public and police officers accountable. Under police policies, officers who have been allocated a BWV are supposed to activate them when they use force or exercise their powers under the Police Powers and Responsibilities Act. But this is rarely being done. 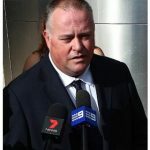 And despite the reluctance to use the cameras, the Queensland Police Union continues to stand firmly behind the devices. “Body worn cameras are the modern equivalent of the old police notebook and all police should be provided with them,” said a Police Union representative. 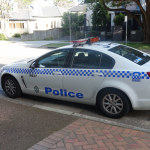 Police have also been issued with BWVs here in NSW. They were introduced here in 2014 after preliminary trials indicated they could be a valuable asset to the force. They are recording a private conversation. The introduction of cameras was contentious at the time, with concerns that police would not to turn them on if they were about to use excessive force. Indeed, there have been numerous reports of police refusing to turn their cameras on in contravention of police policies, even after requests from the members of the public they were confronting. It’s important to remember that it is perfectly legal to film police officers in a public place, provided you do not hinder them in the exercise of their duties. To avoid being accused of hindering police, it is often a good idea to have a friend stand back and film the encounter. Filming police can deter them from acting unlawfully, and the evidence can later be used to support a complaint or as evidence during court proceedings.